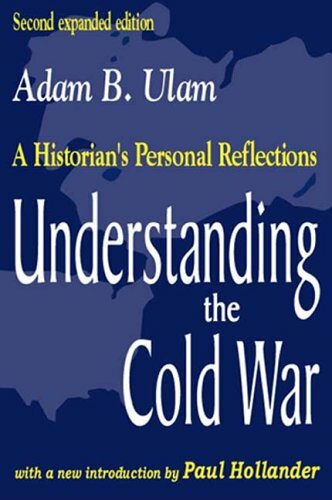 Leopolis Press was founded in 2000 by the late Adam B. Ulam, Gurney Professor of History and Political Science, and former director of the Russian Research Center at Harvard University. Professor Ulam (at right) created the Leopolis imprint during his final illness, in order to publish his 20th and last book, Understanding the Cold War: A Historian’s Personal Reflections. Leopolis was the medieval Latin name for Lwow, the Polish city where Adam Ulam was born and lived for seventeen years. The city, whose Greek name means “Lion City,” had the lion as its emblem. 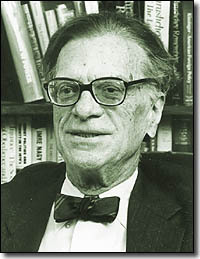 In late 2002, Leopolis Press began collaboration with the Kościuszko Chair at the Miller Center for Public Affairs, at the University of Virginia. The purpose was to establish a collection of scholarly papers on the transition of Poland to a temporary European democracy. Named after the great Polish-American general of the American Revolution, the Kościuszko Chair in 2008 moved to The Institute of World Politics (IWP), a graduate school of national security and international affairs. In 2011, Professor Ulam’s widow, Molly Ulam, placed Leopolis Press into the custody of the Kościuszko Chair at IWP. 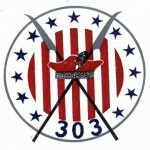 At that time, Leopolis press assumed the heraldic device of the Kościuszko Chair as its logo: a red, white and blue Kościuszko scytheman’s cap and crossed scythes, adapted from the symbol of the American-founded Kościuszko Air Squadron that assisted Poland during the victorious war against the Soviets in 1920, and the US and British-backed 303 “Kościuszko” Polish Fighter Squadron of the Polish Government in Exile to fight the Nazis in World War II. The holder of the Kościuszko Chair at IWP, Dr. Marek Jan Chodakiewicz, is the Publisher of Leopolis Press.